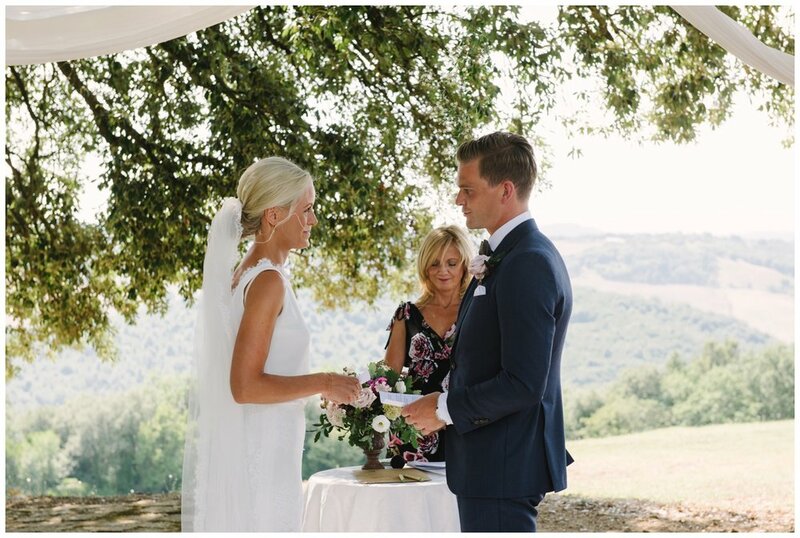 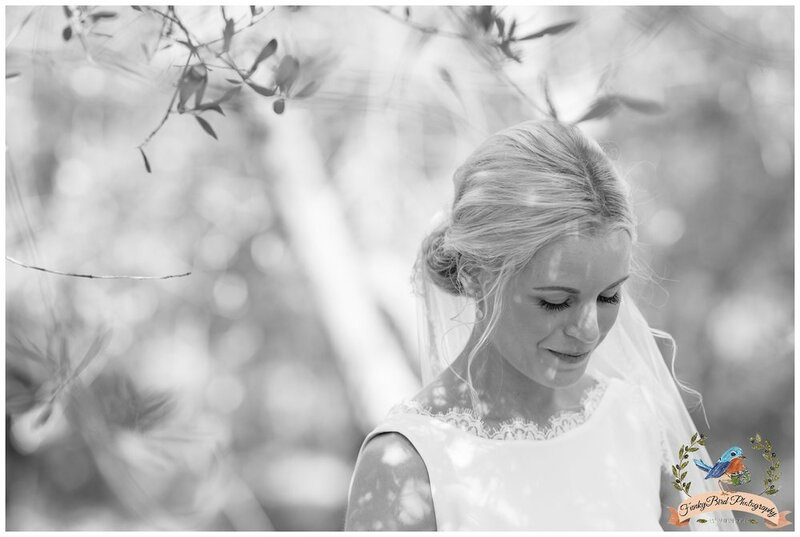 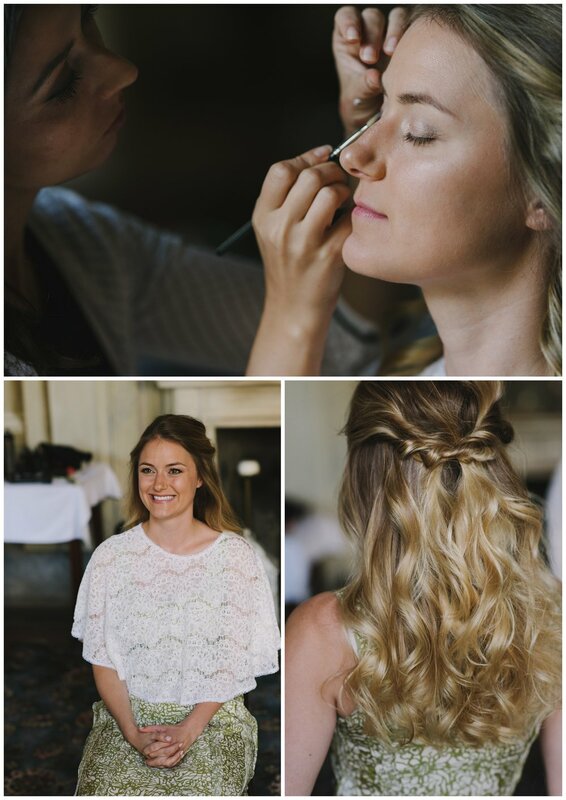 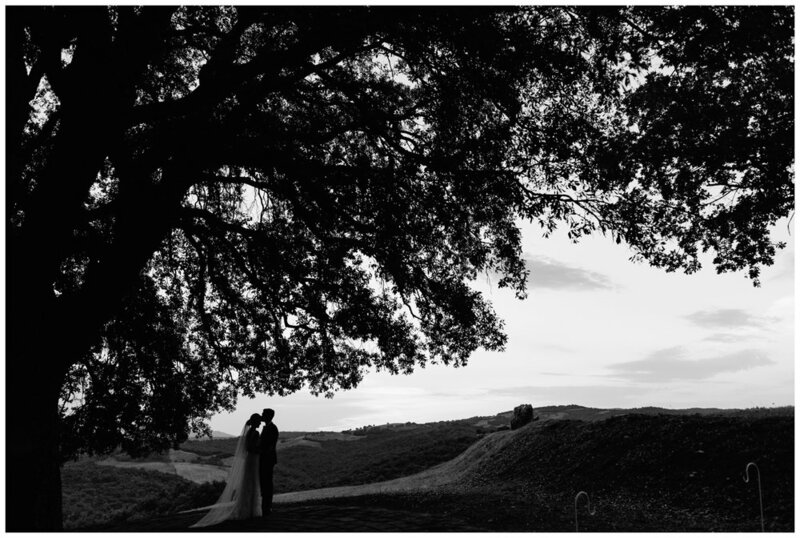 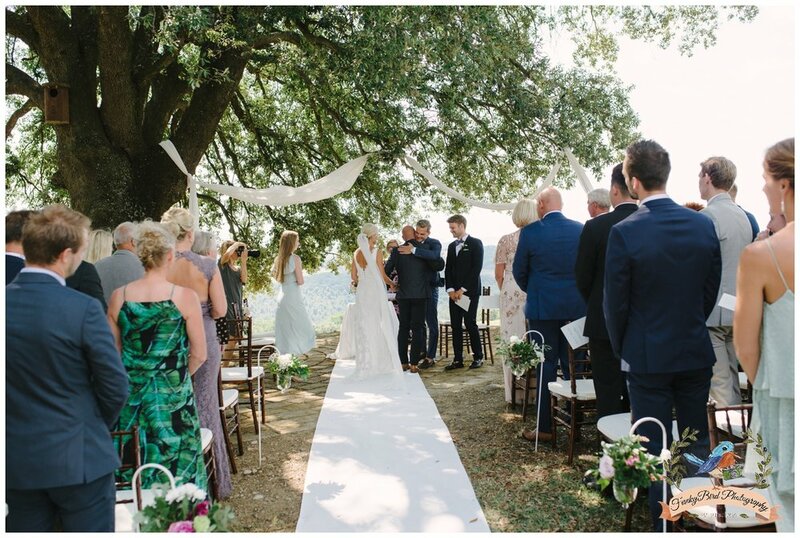 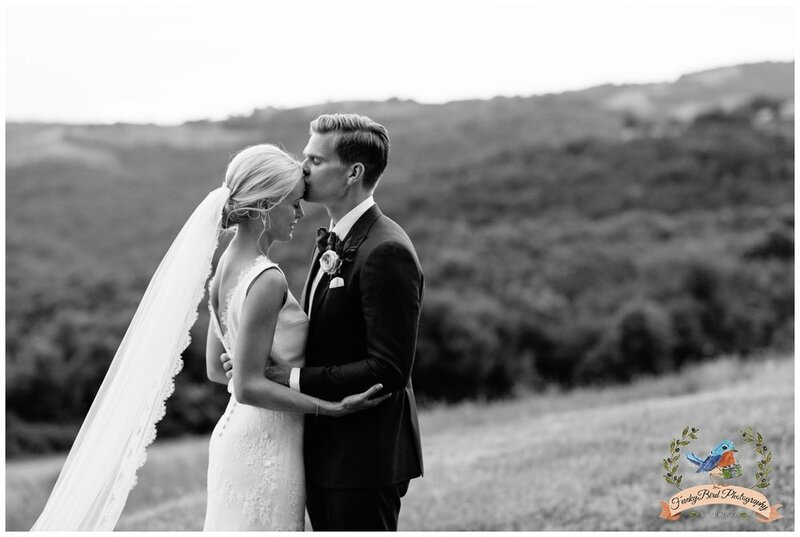 Beautiful small wedding on the hill of Tuscany. 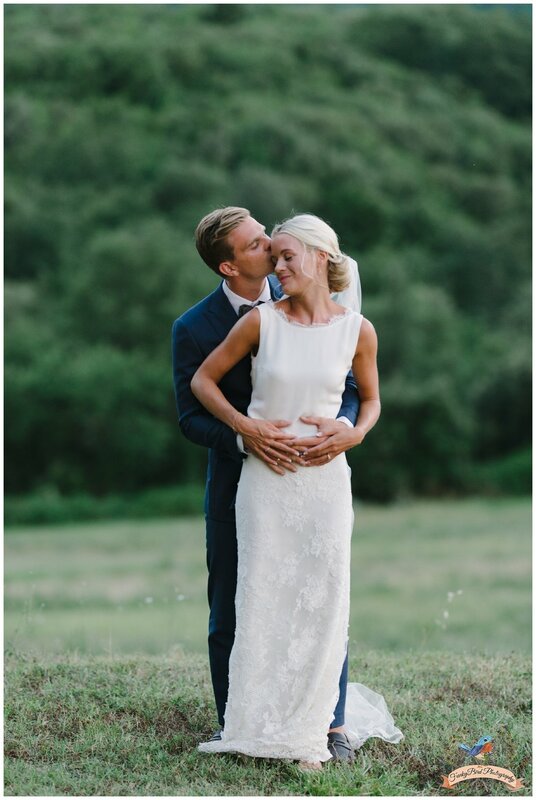 Judith and Erik are such great couple to be around. 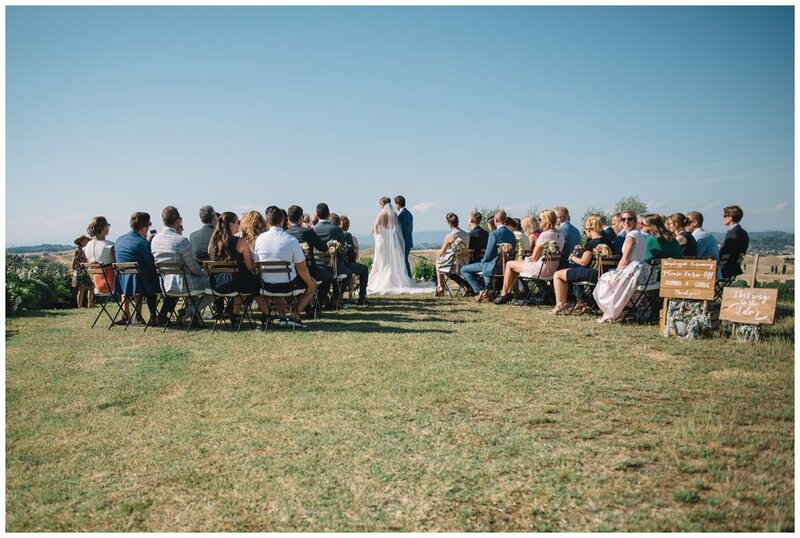 Beautiful hot summer day perfect for wedding celebration. 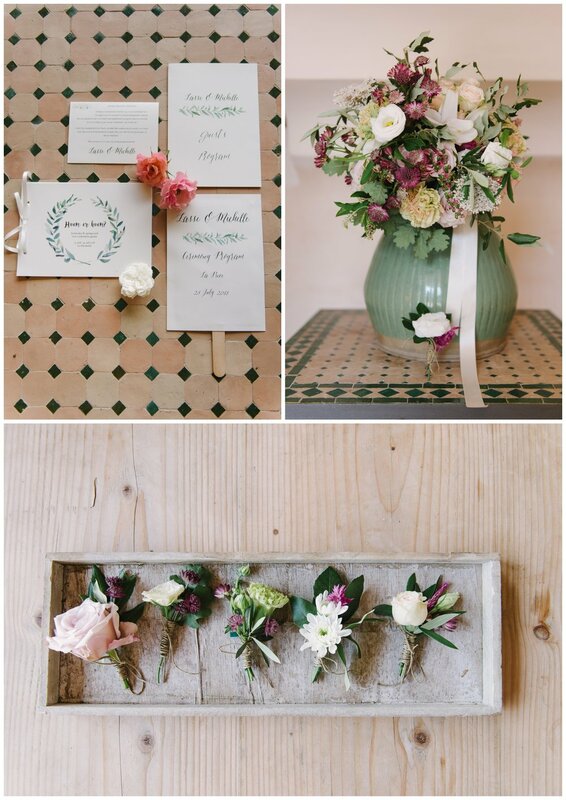 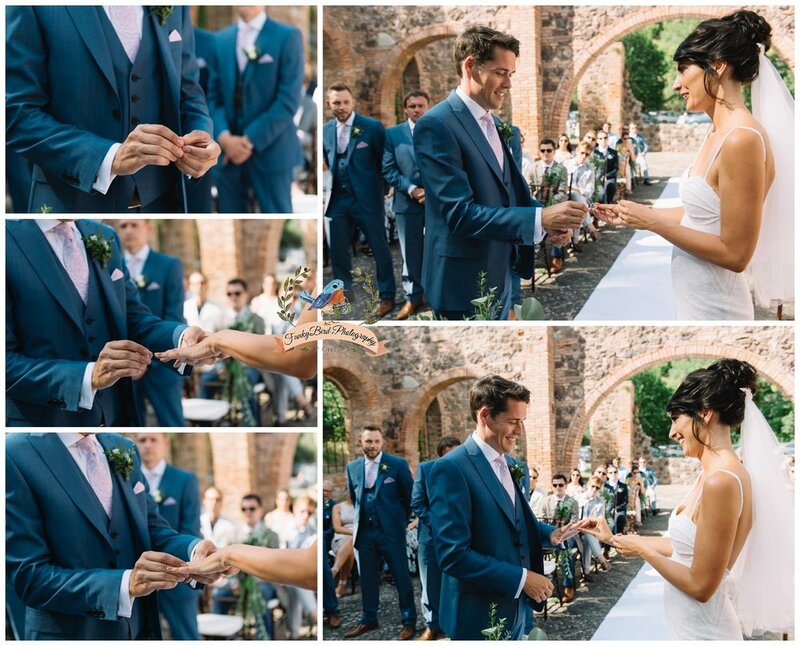 Flowers looked so stunning on this wedding. 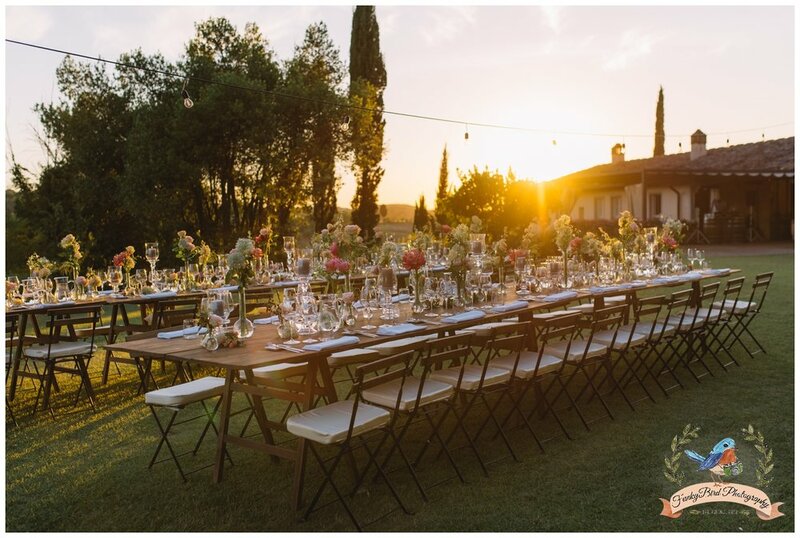 From the bridal bouquet, ceremony till incredible table decoration which look so beautiful with Tuscan sunset like a backdrop. 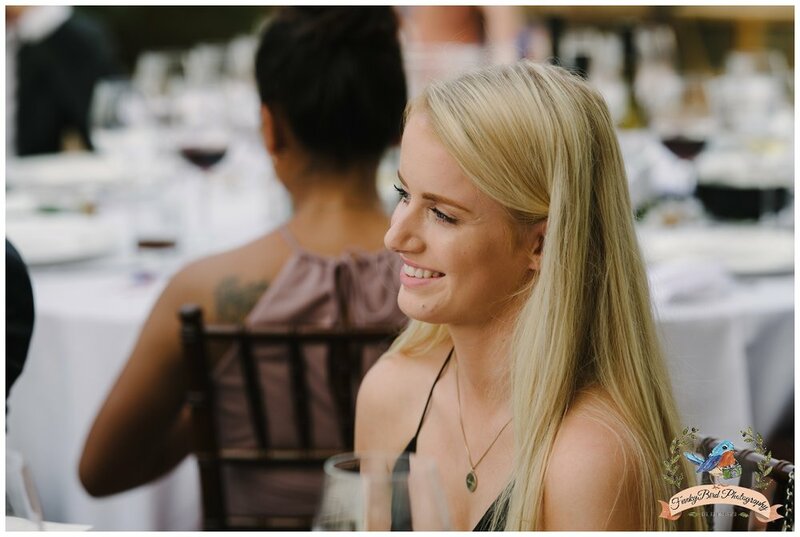 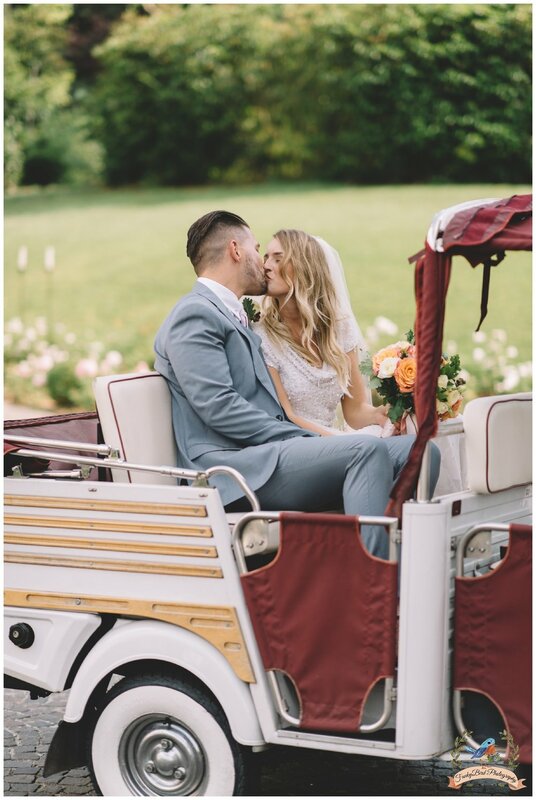 I had so much fun working on this wedding. 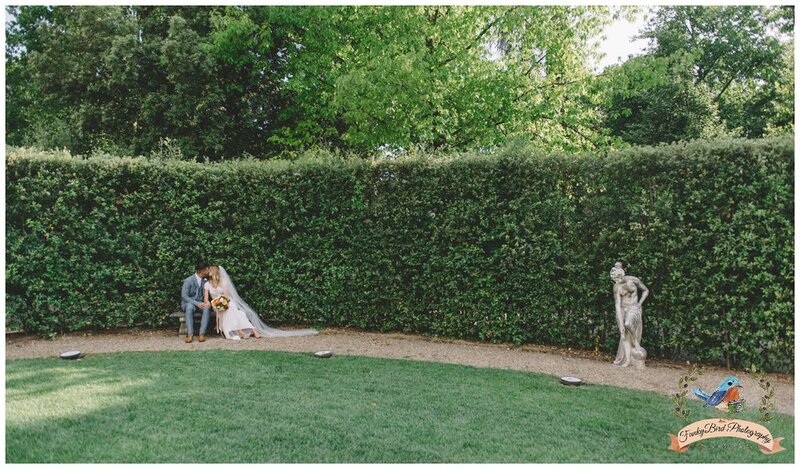 Laura and Sean are the most adorable couple. 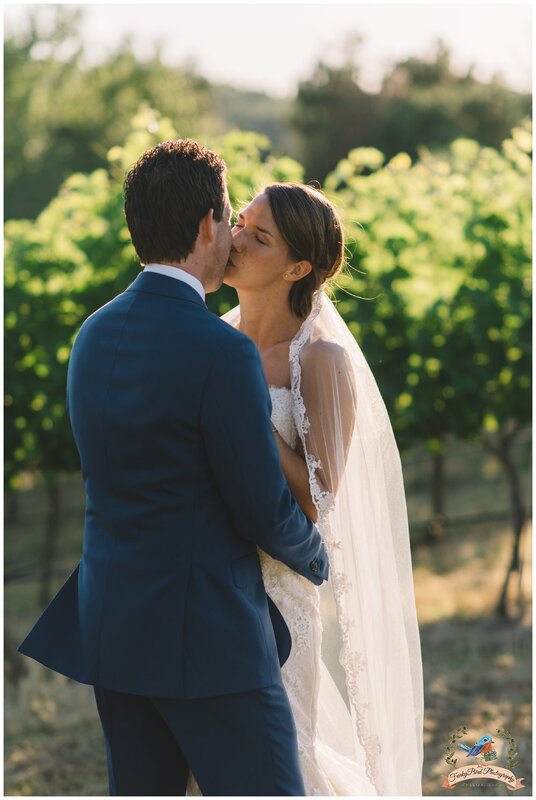 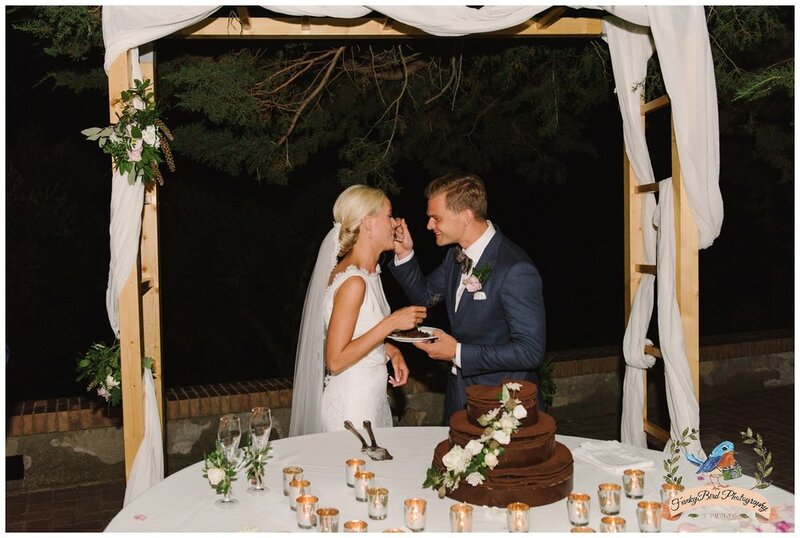 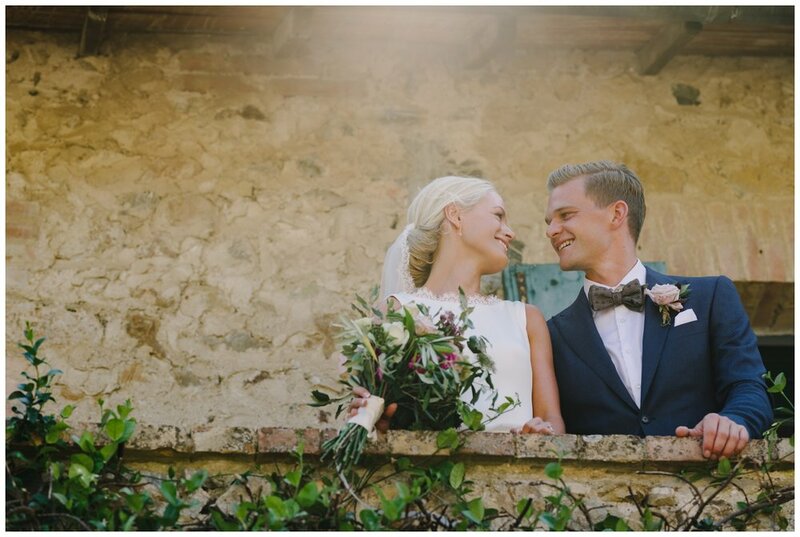 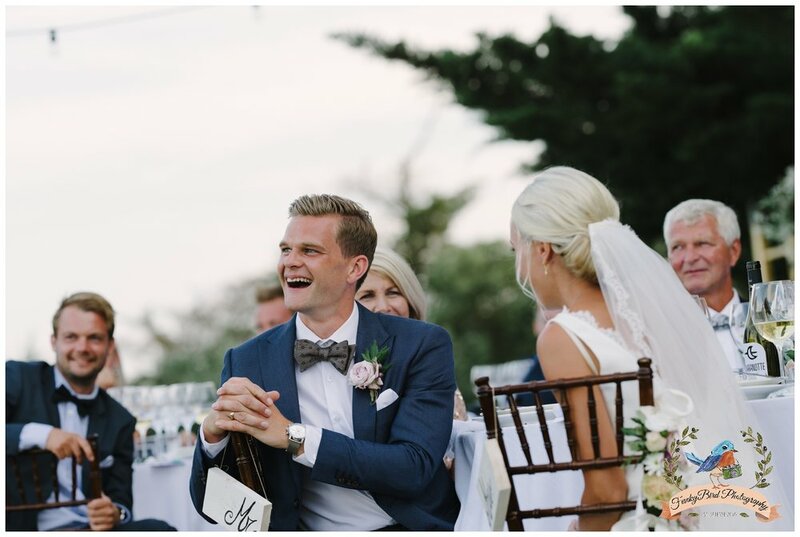 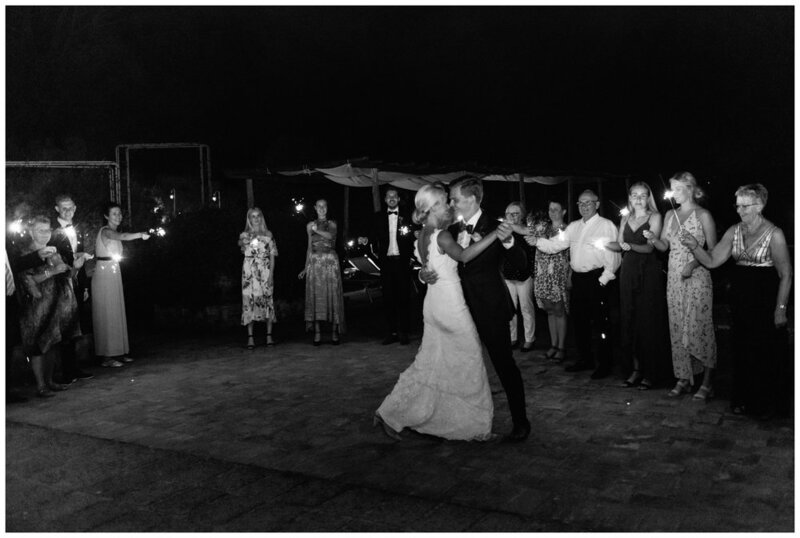 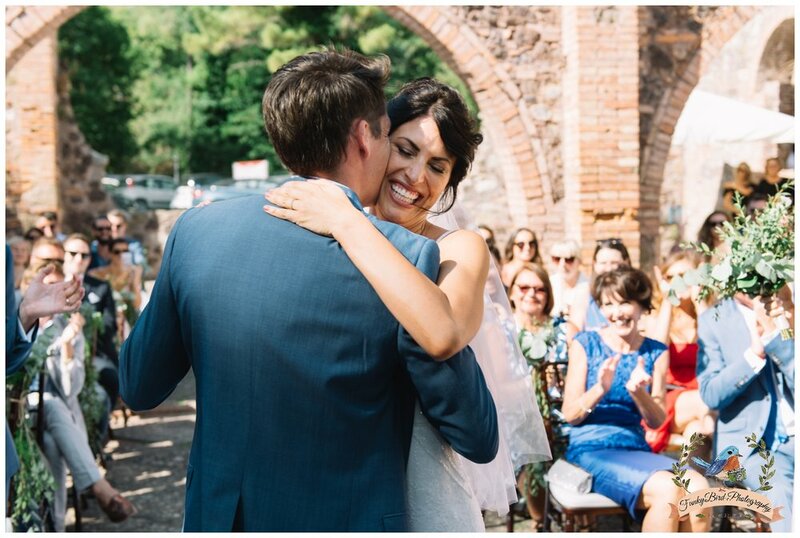 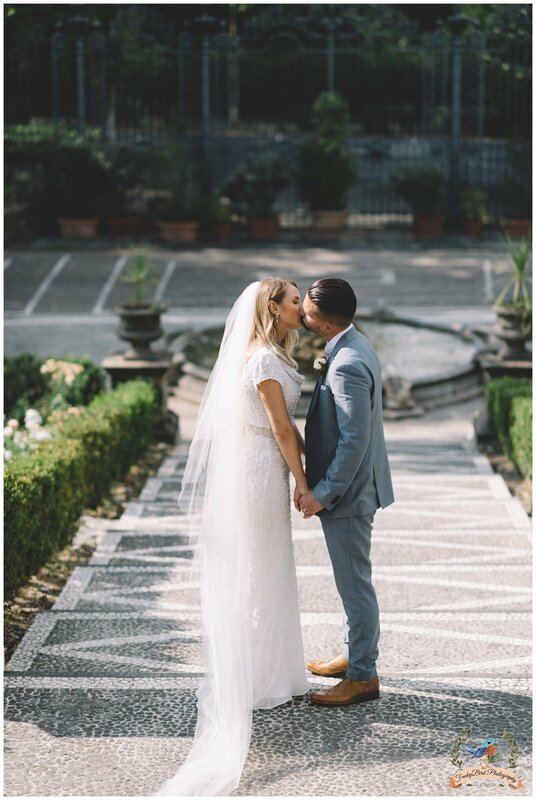 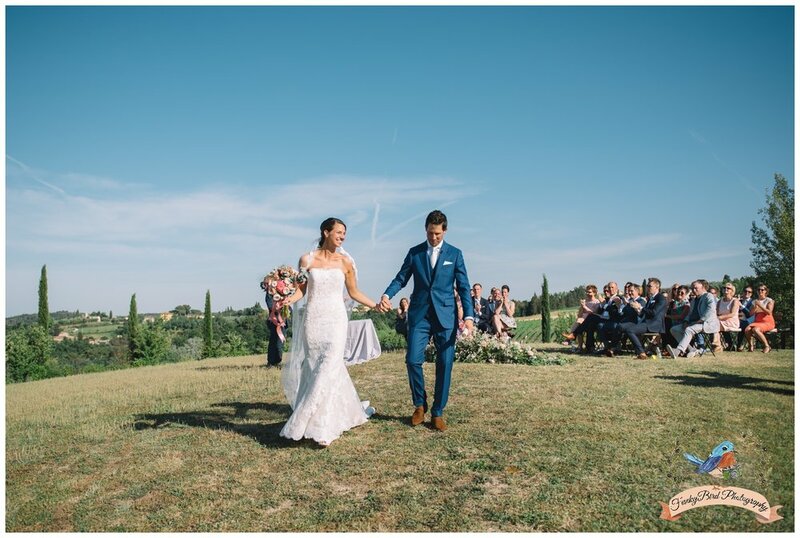 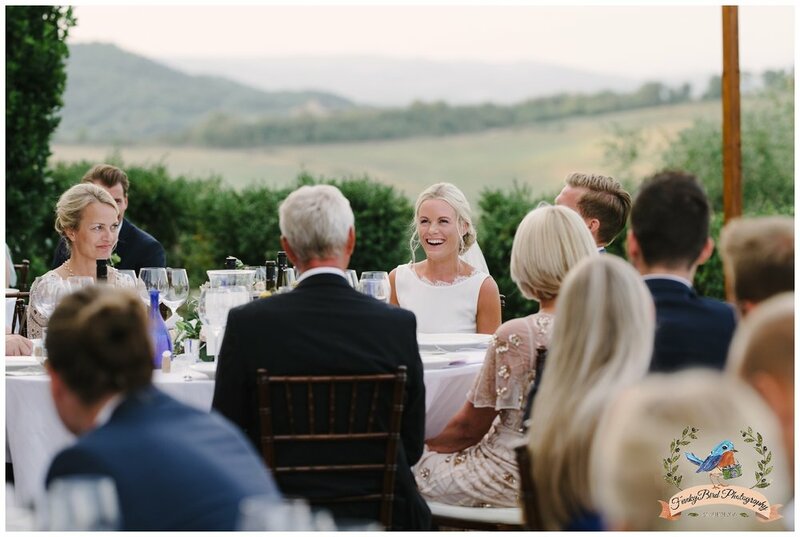 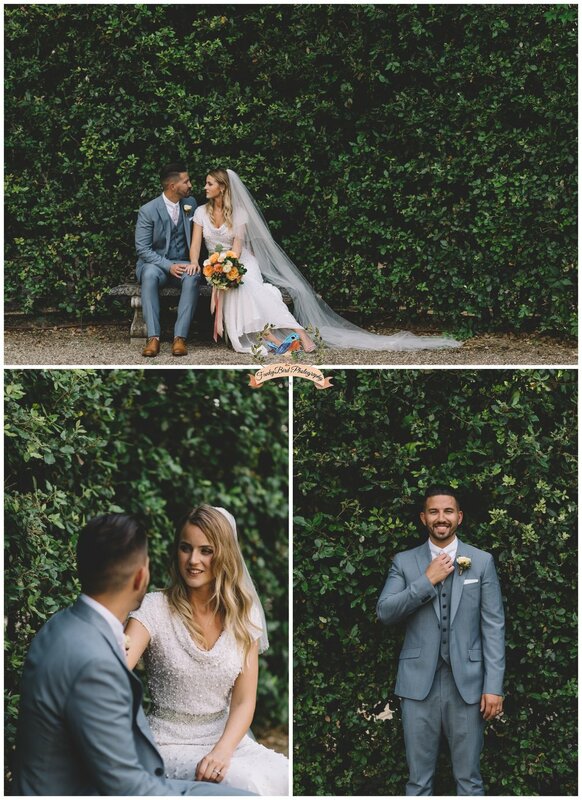 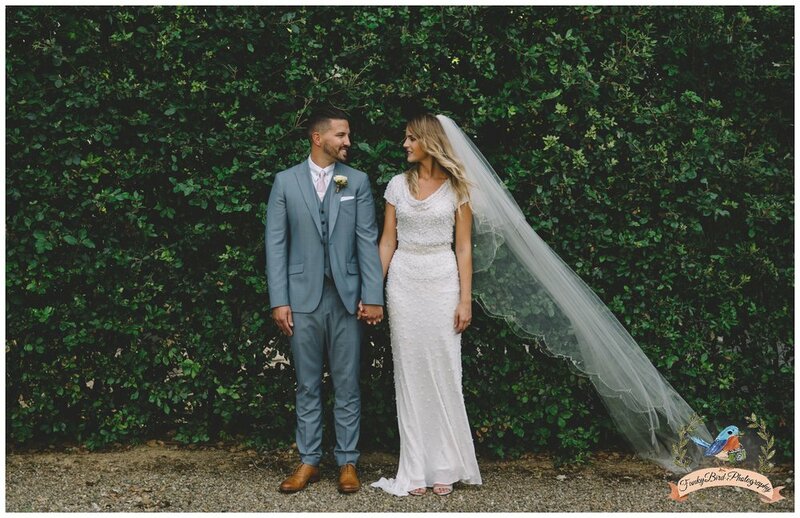 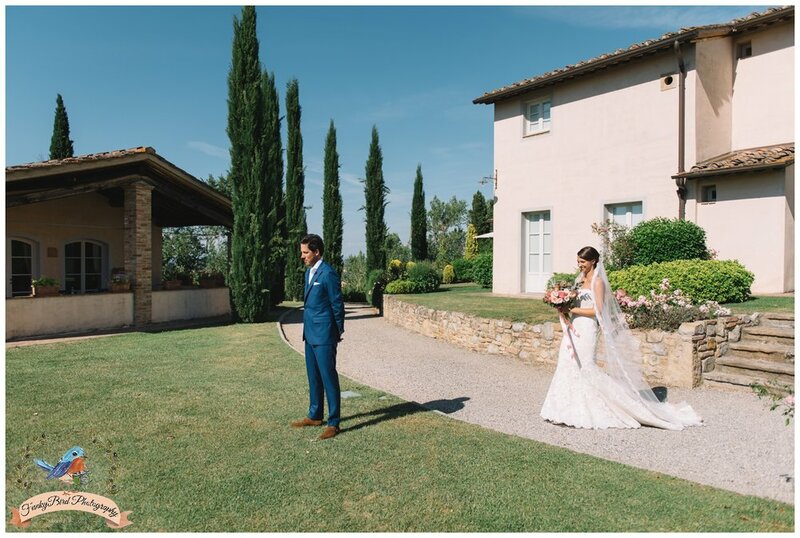 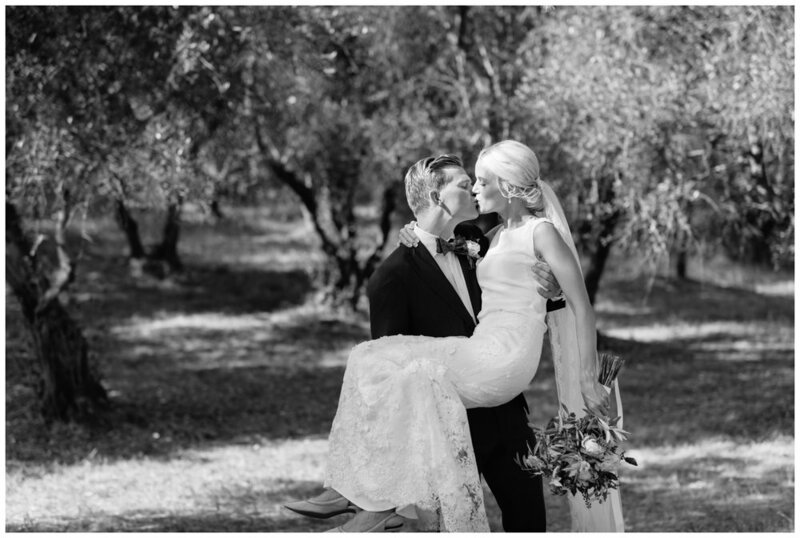 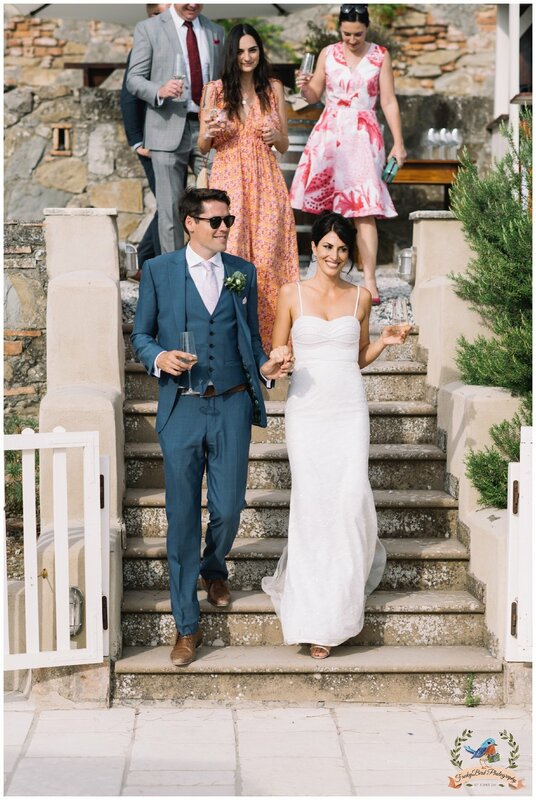 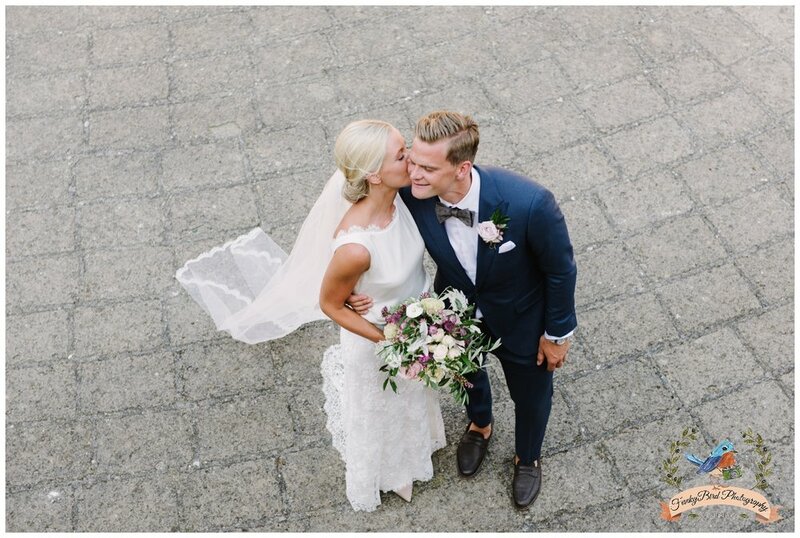 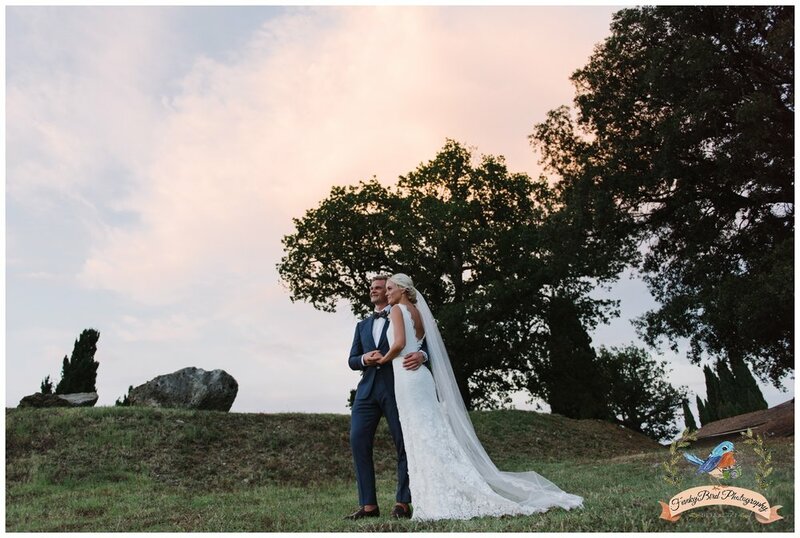 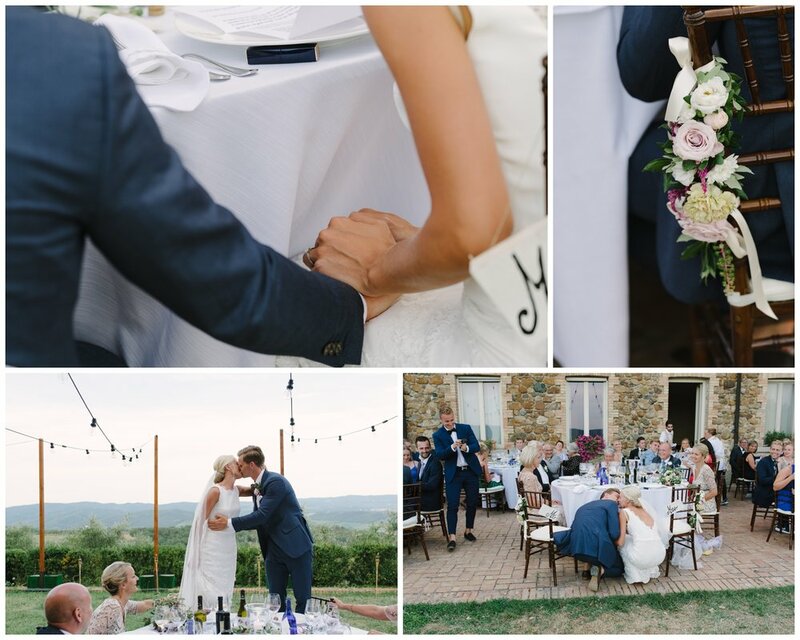 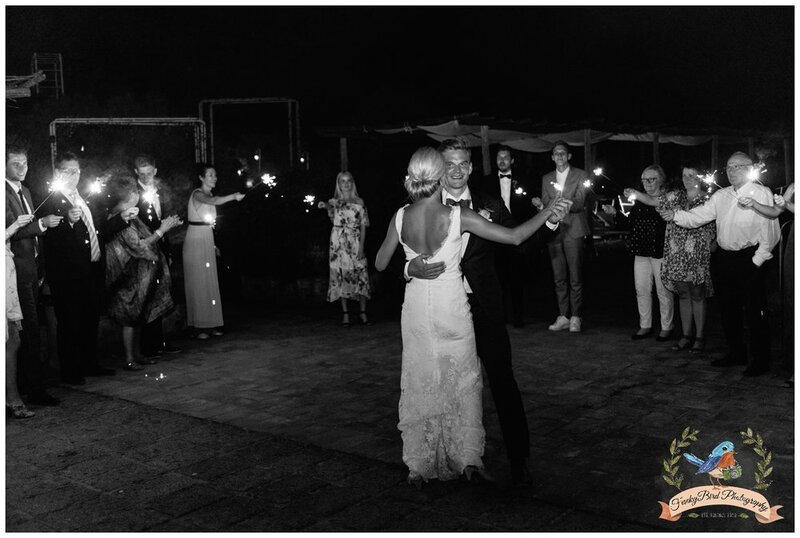 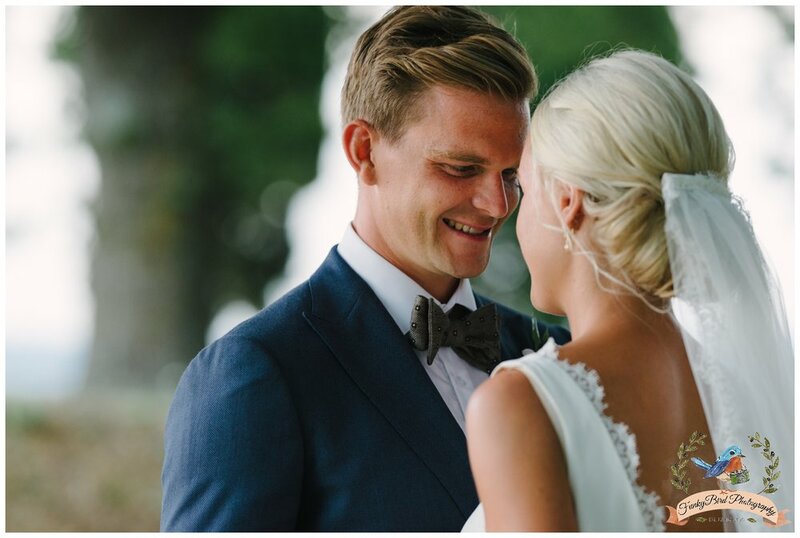 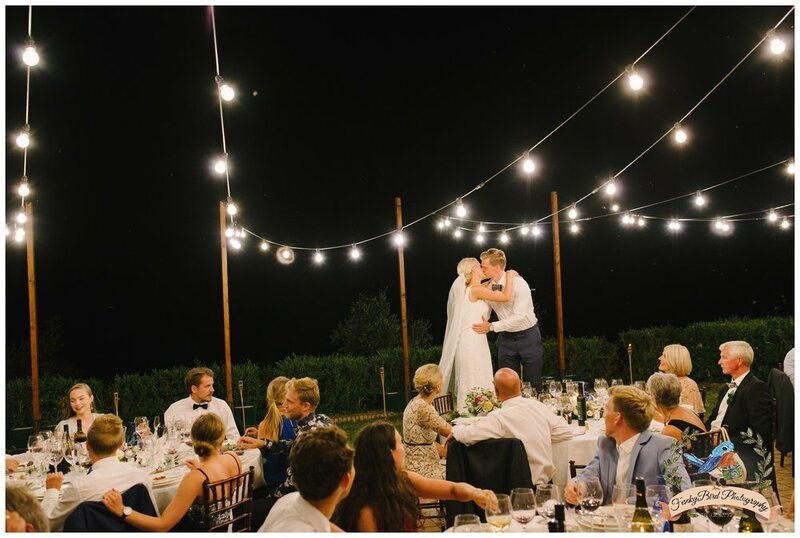 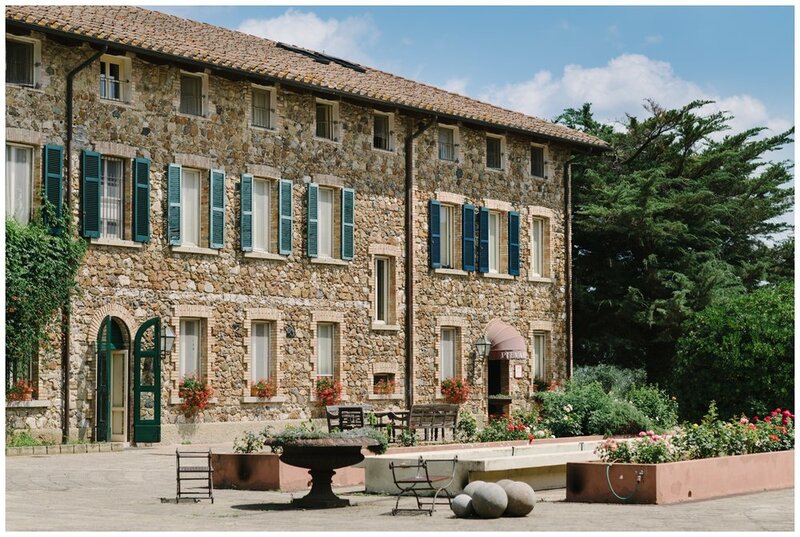 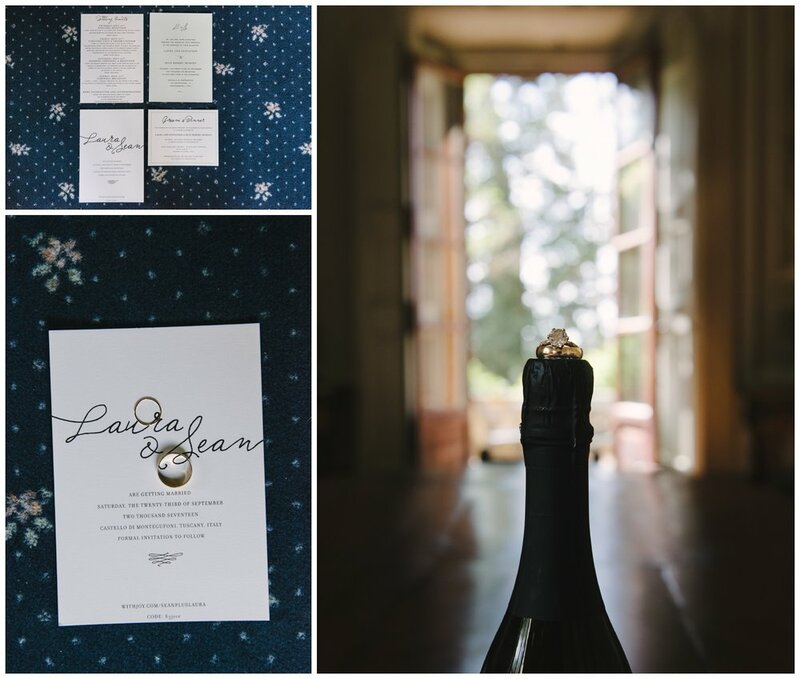 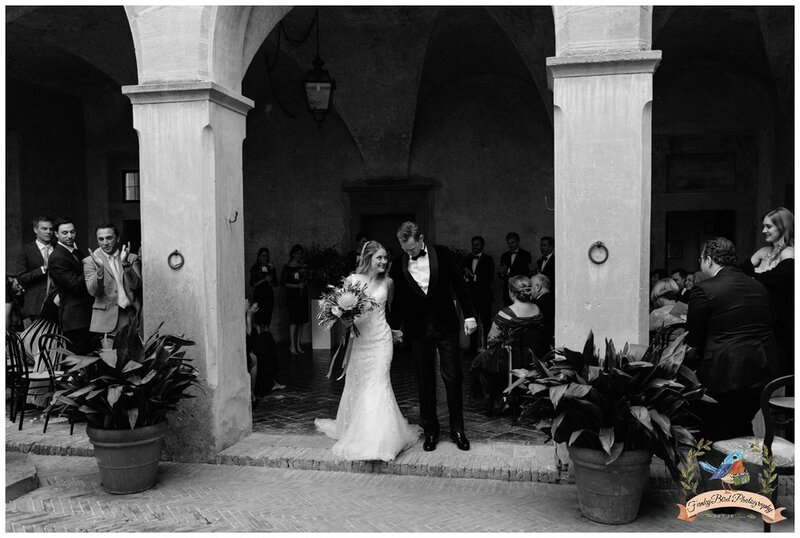 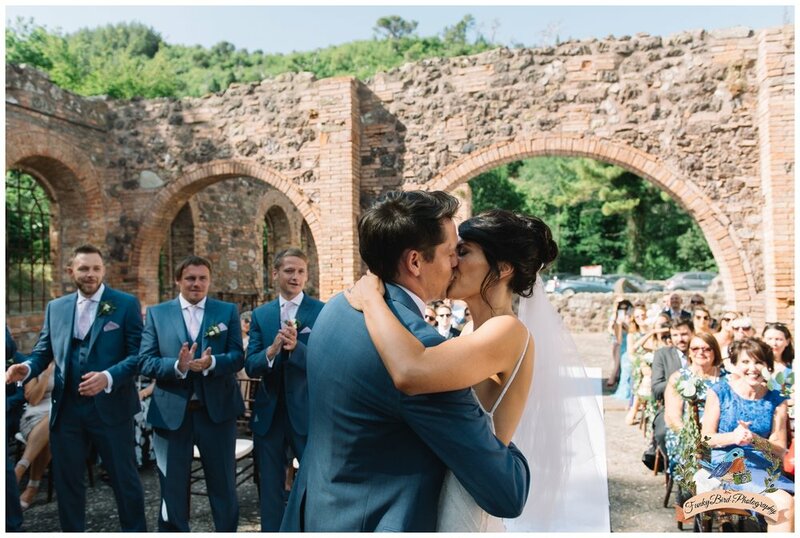 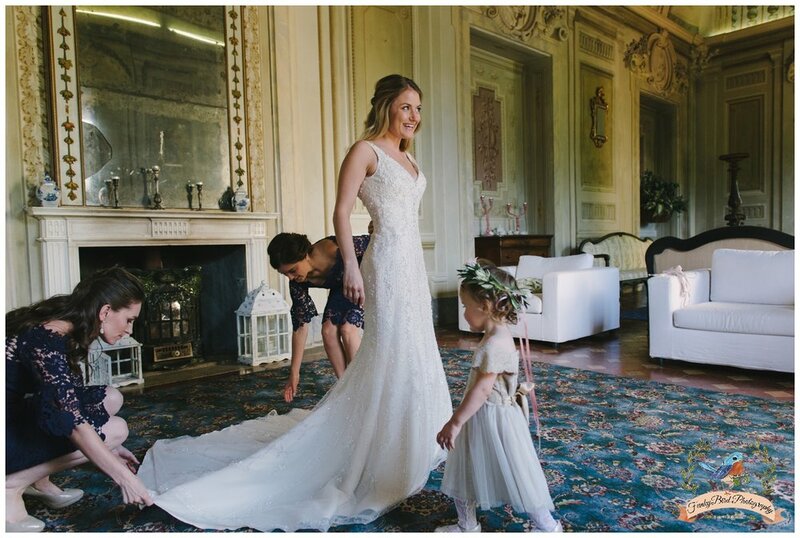 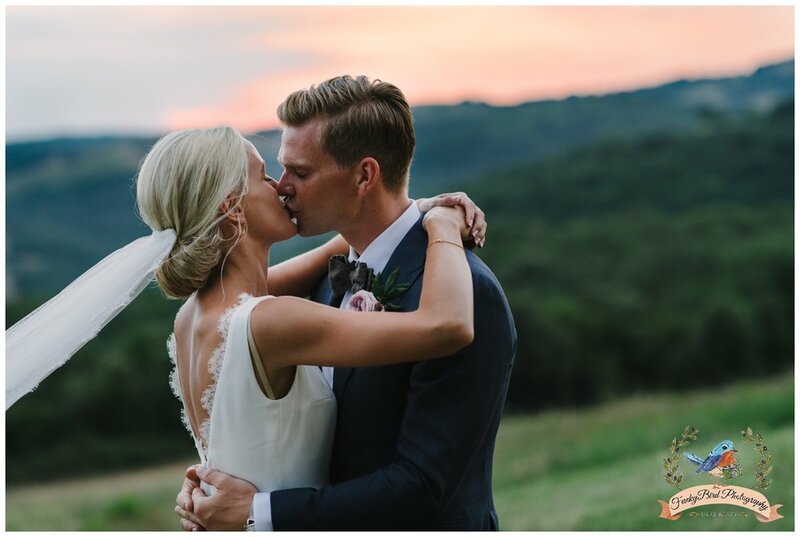 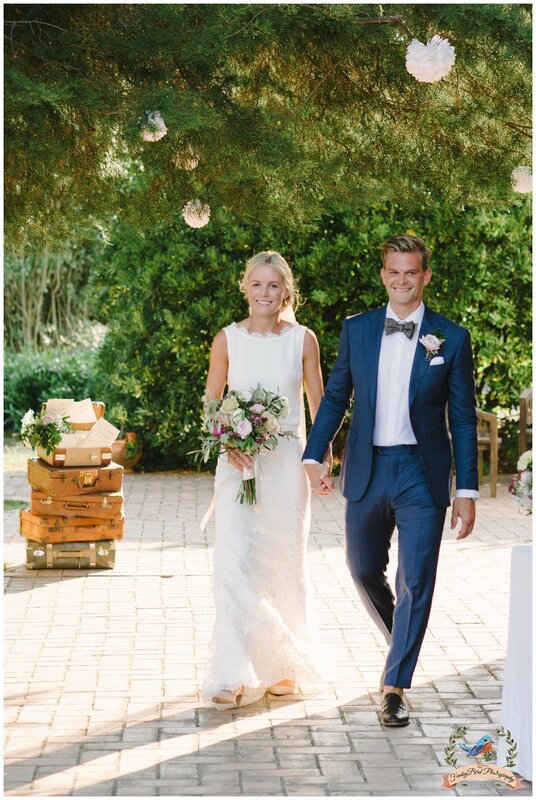 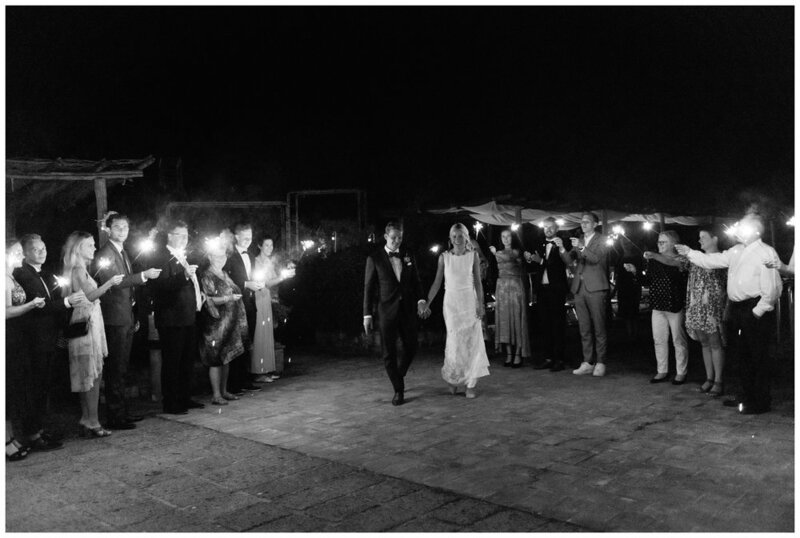 They flew all the way from New York to Tuscany to celebrate their wedding in Castello di Montegufoni. 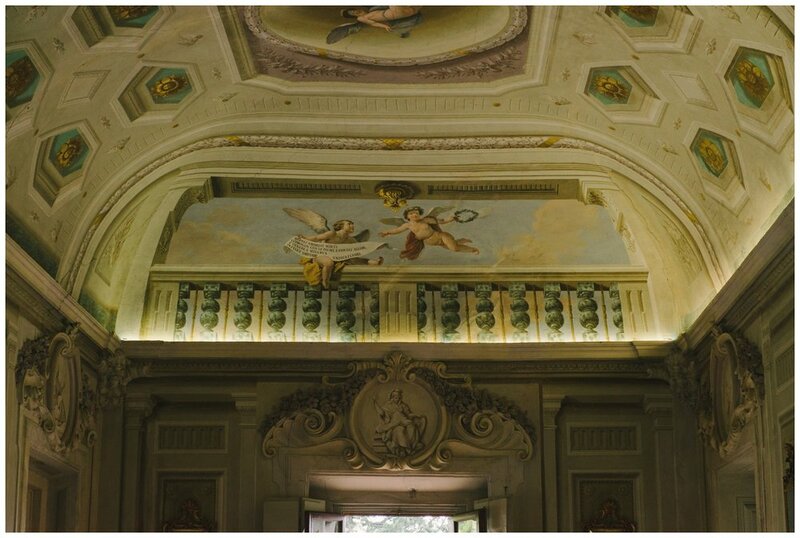 I love this castle with its extravagant rooms and whimsical decorations. 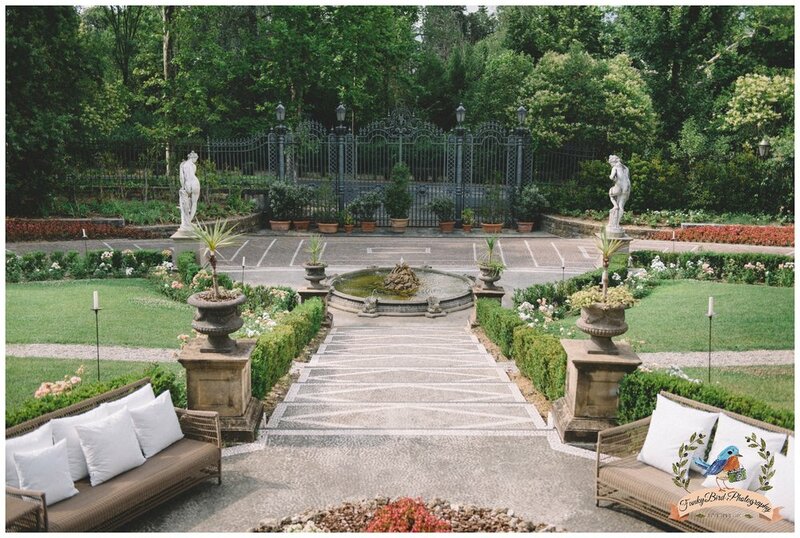 It is definitely a unique location with a lot of different spaces to host all the various events of the day. 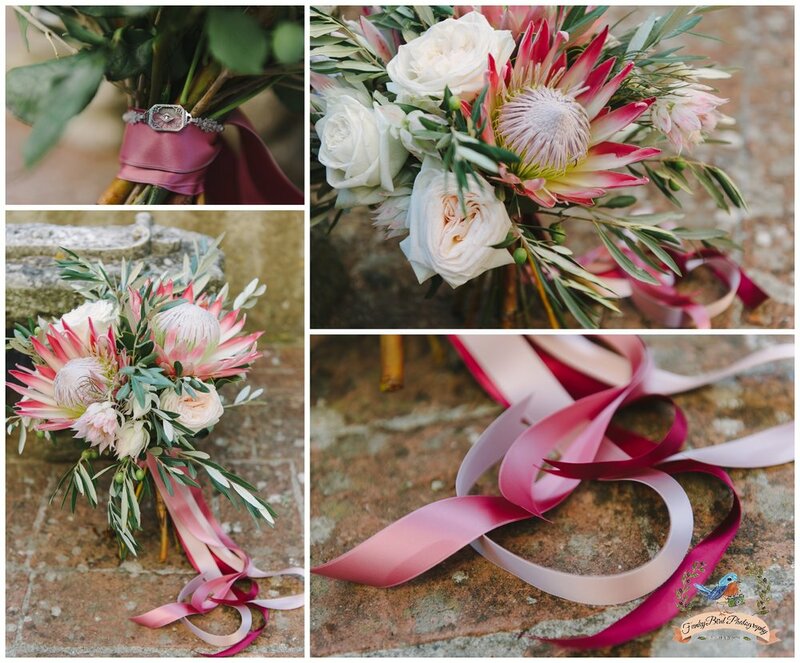 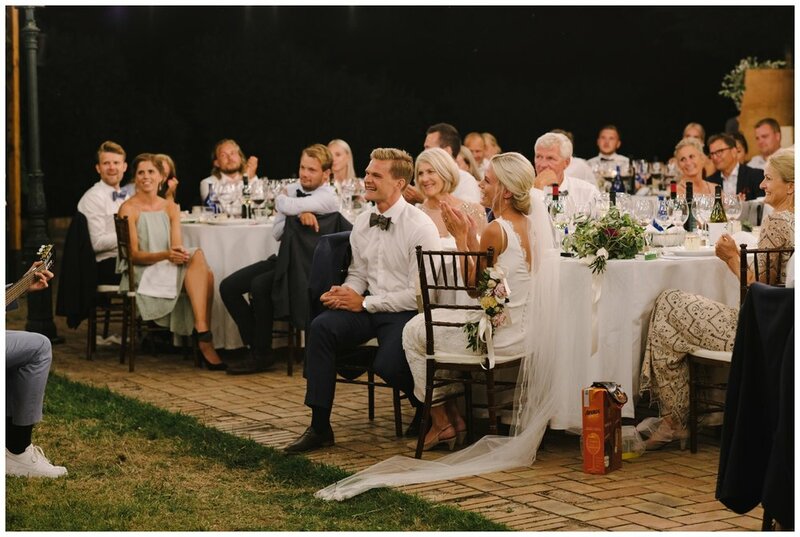 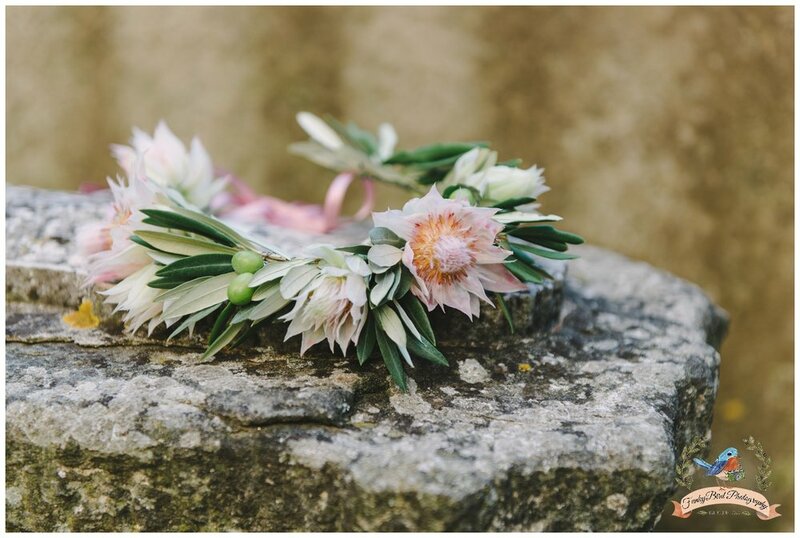 The flowers were as fun as the bride and groom themselves, big bold proteas featured in the bridal bouquet and bridesmaids bouquets, whereas smaller ‘blushing bride’ proteas were use in the crown for the flower girl. 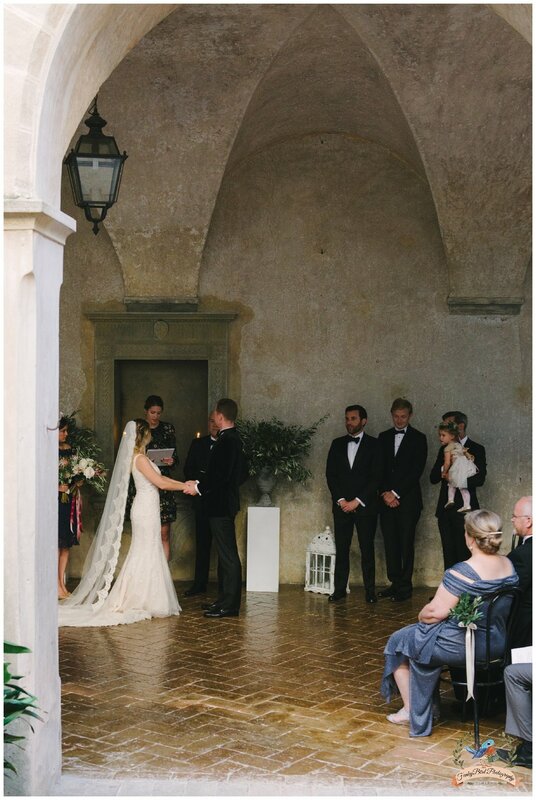 The ceremony was kept in the small courtyard and adorned with olive green arrangements after which they had a generous cocktail in the Italian garden. 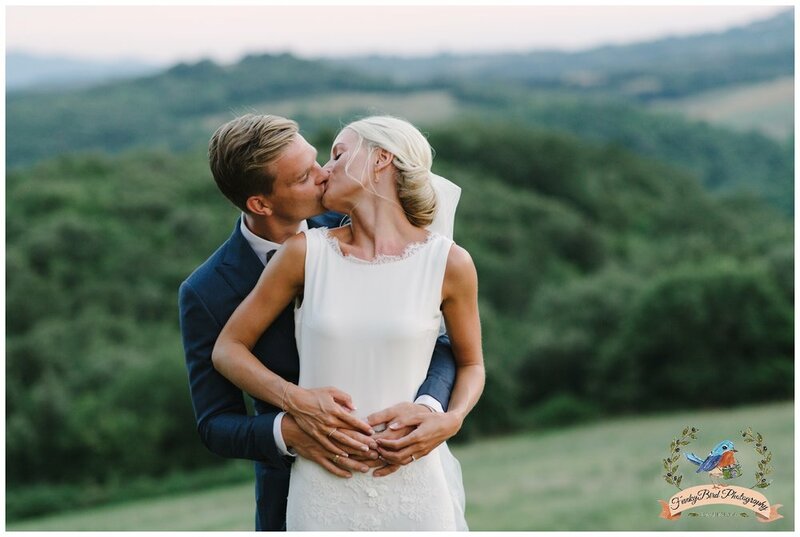 Because the property is quite big we had a lot of fun walking around finding nice backdrops for the couple photos and when the sun set, Tuscany really showed her magic light. 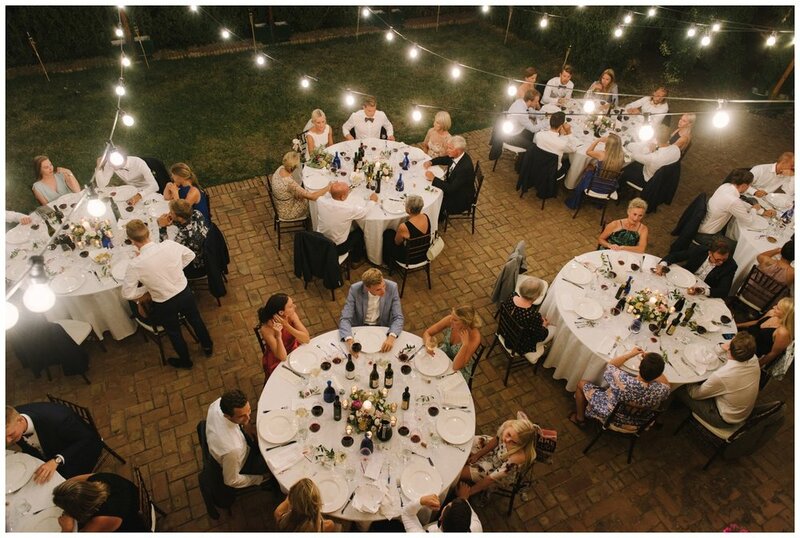 The dinner was set up in the big court entrance of the castle with one long table and string lights overhead. 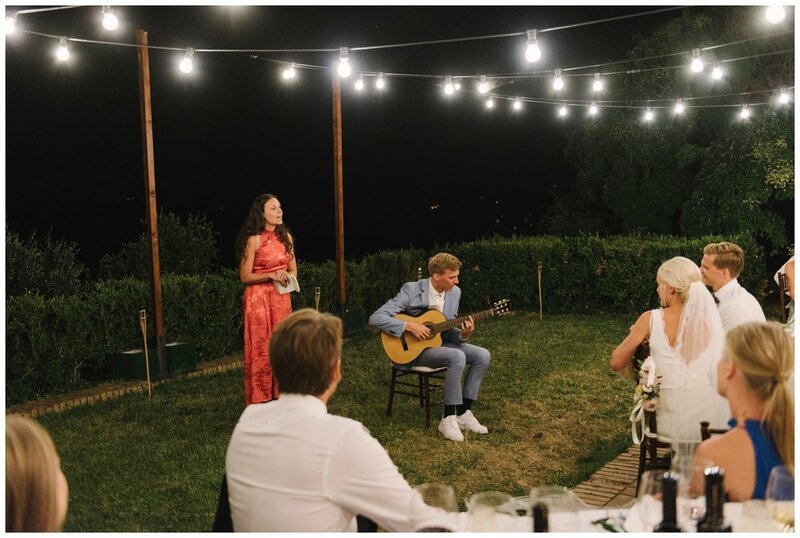 Wonderful Tuscan food was served throughout the evening accompanied by great music. 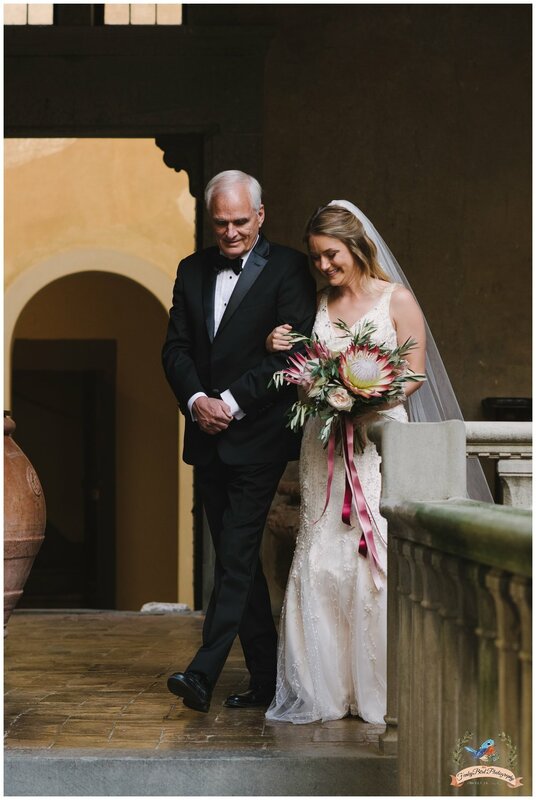 All in all this was a day to remember and I for one am very happy to have taken part in this. 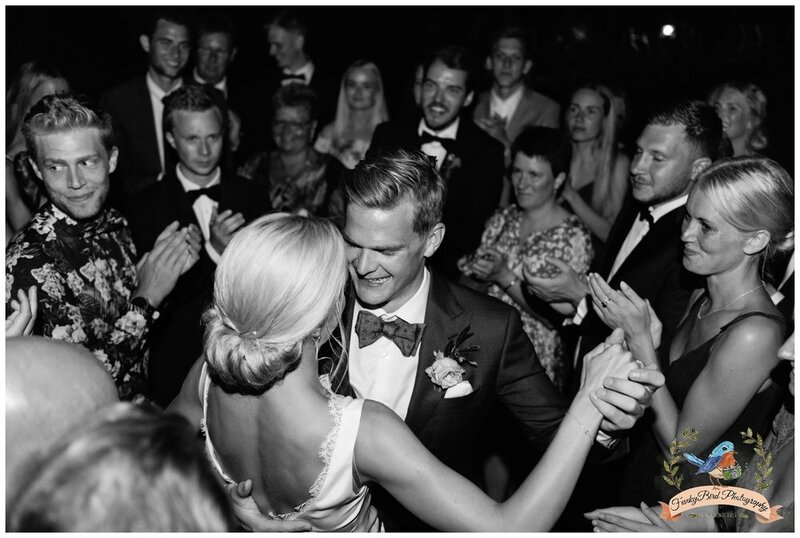 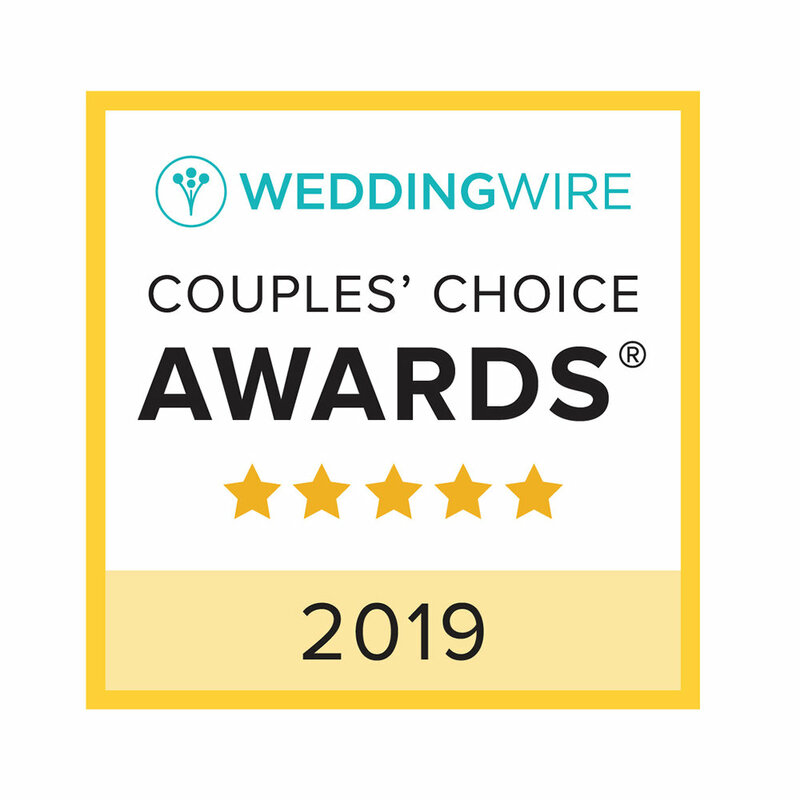 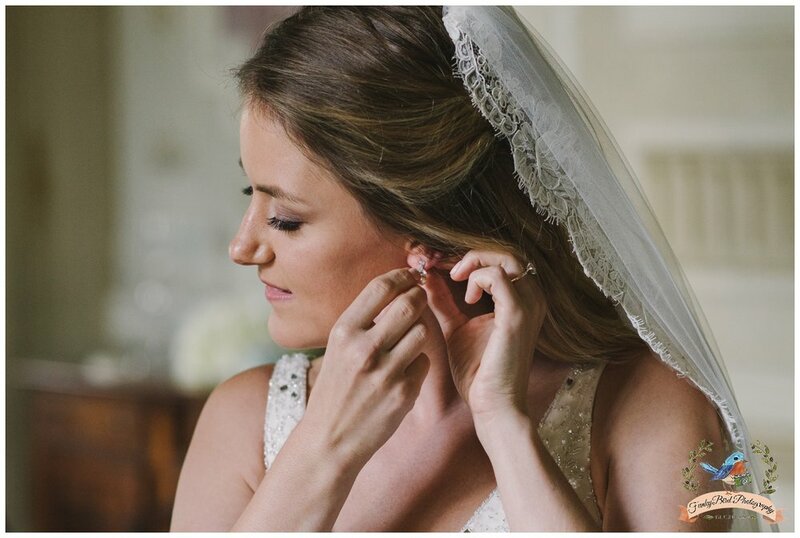 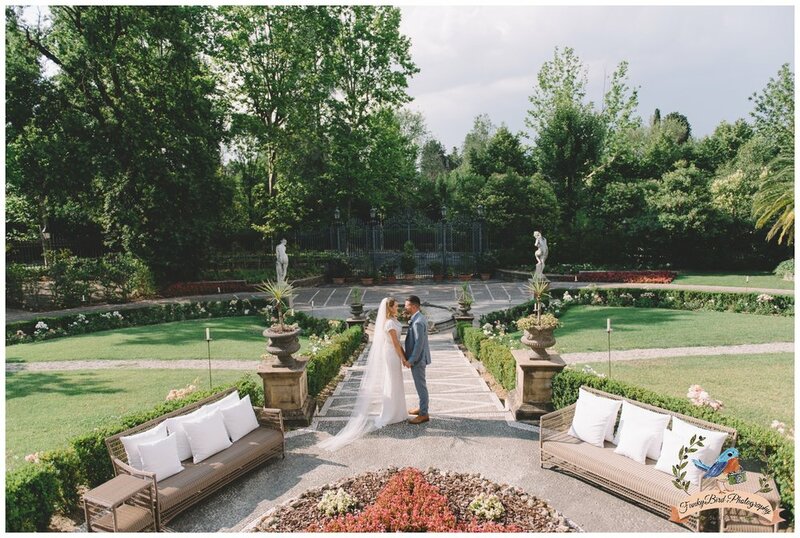 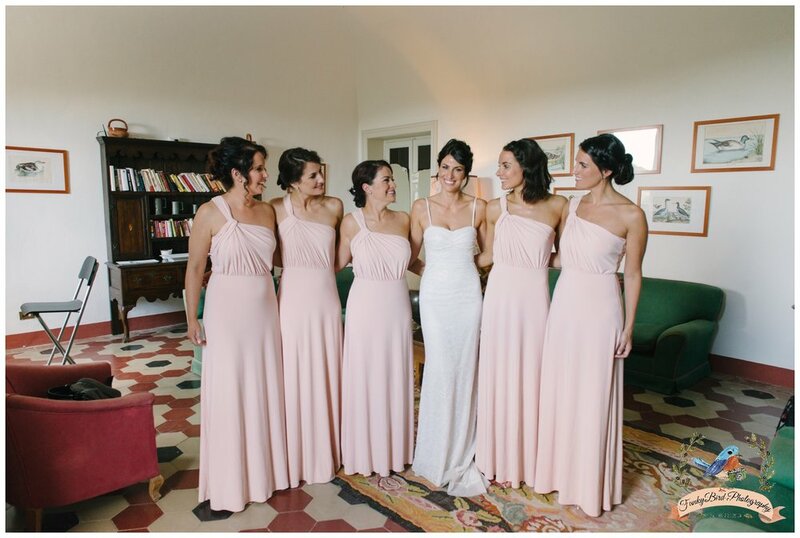 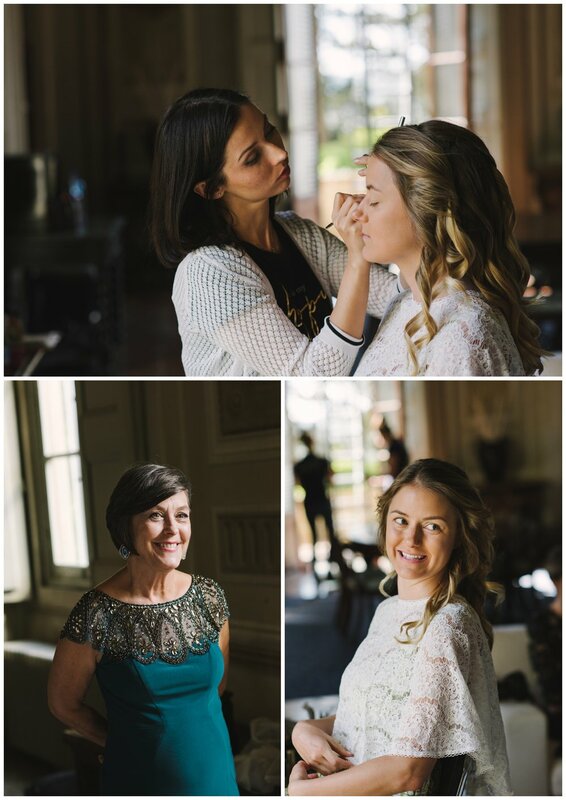 It was real pleasure working on this cute and intimate wedding in Florence in stunning villa close to city center of Florence called Villa Cora. 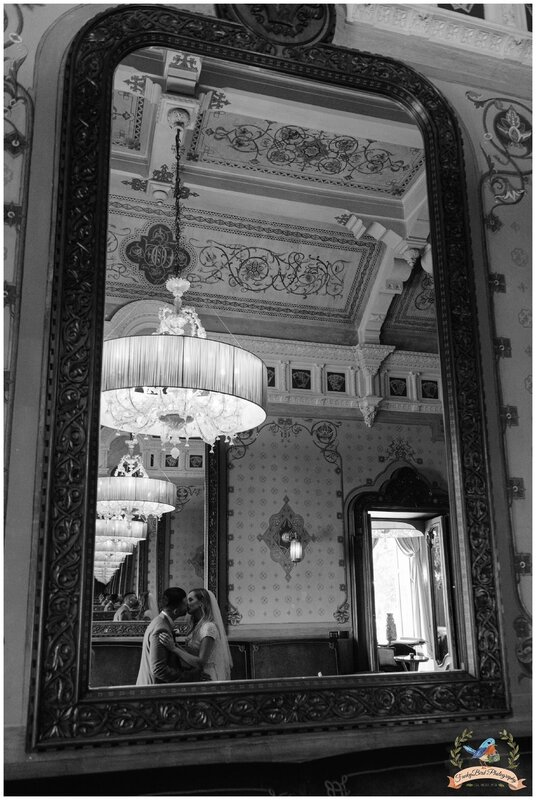 It was such a joy taking the photos inside of this incredible hotel. 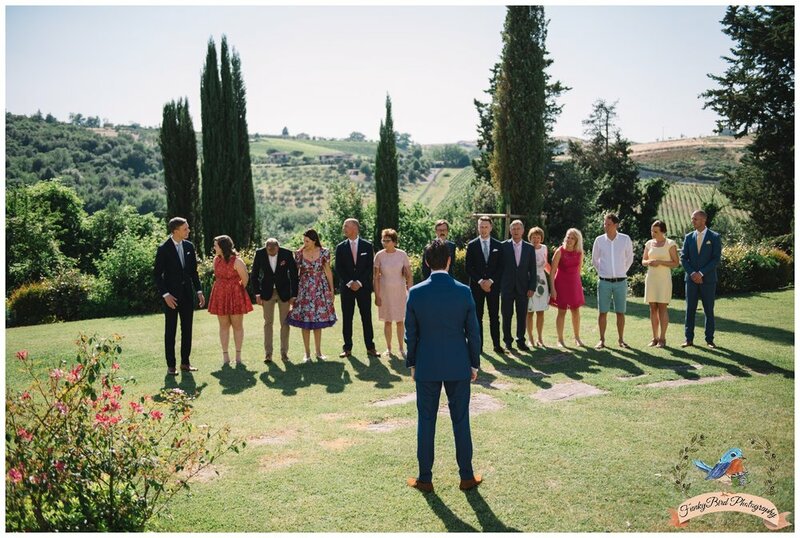 Usually I am working on a beautiful weddings in Tuscany countryside but sometimes it really nice working on the wedding in Florence. 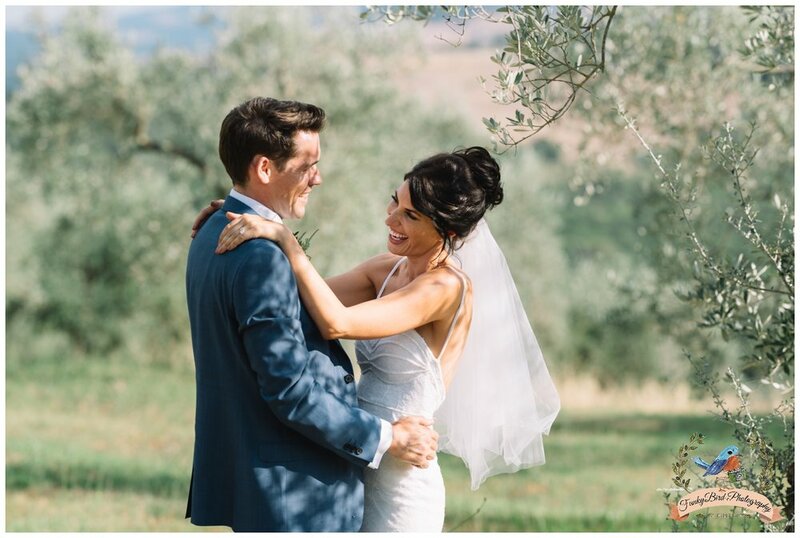 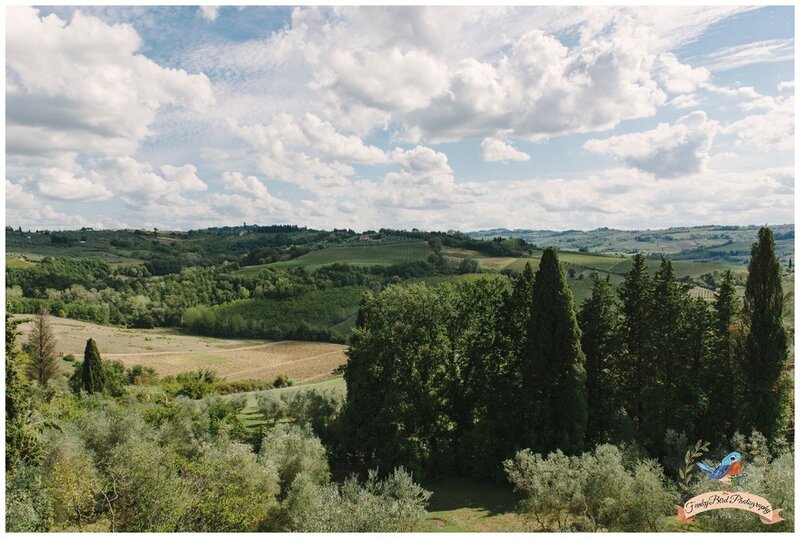 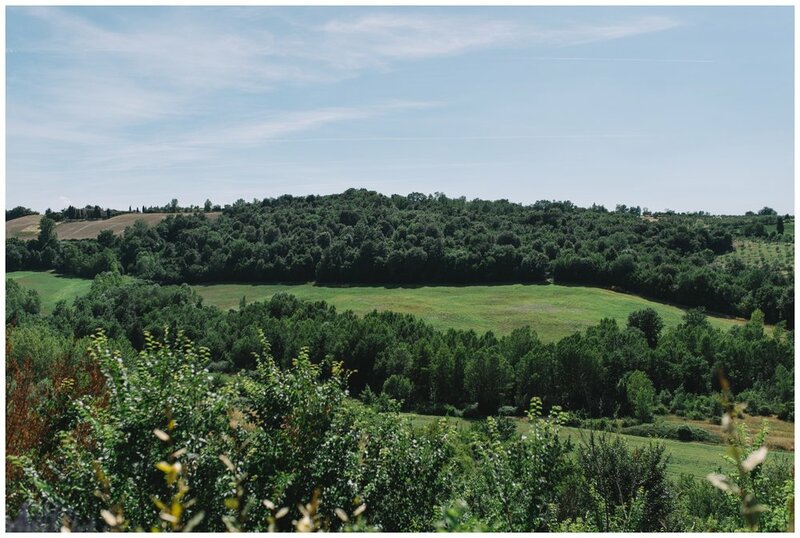 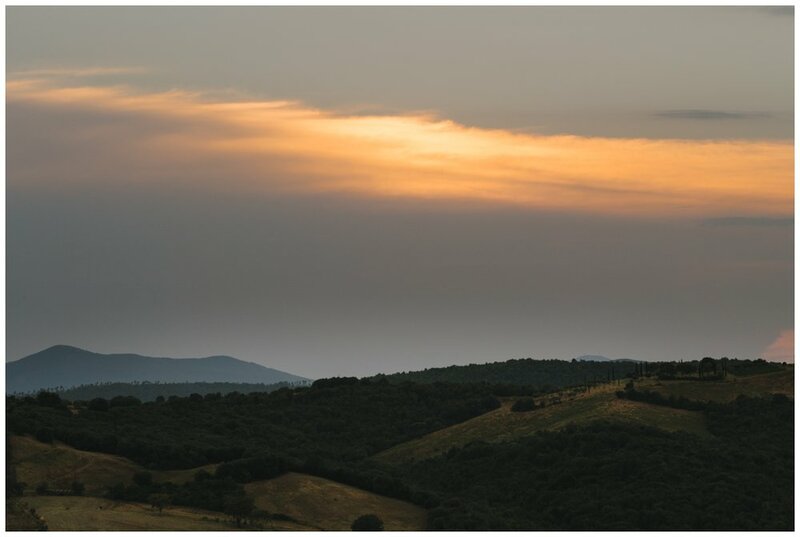 As a wedding photographer in Tuscany is such a joy being able to jump from beautiful countryside and amazing and beautiful cities in Tuscany. 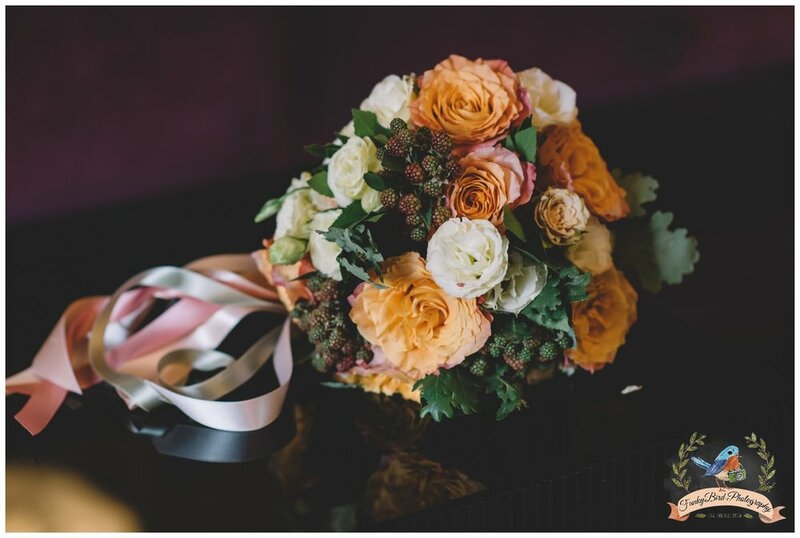 Have to mention beautiful bouquet done by FunkyBird Wedding Design.